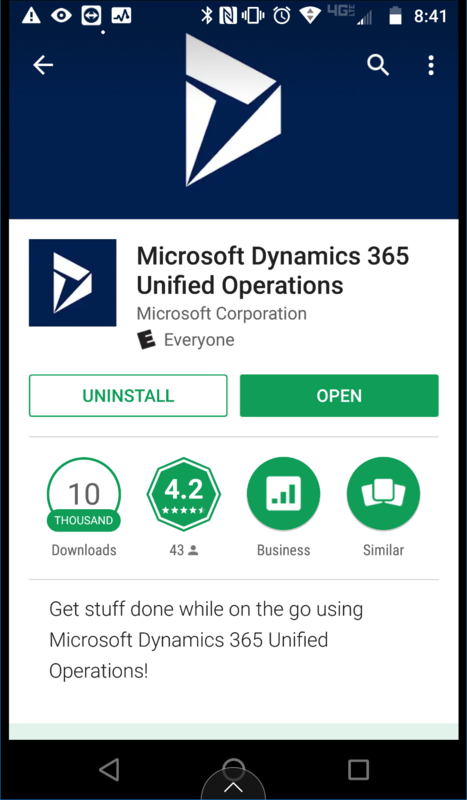 First you will need to install the Dynamics 365 for Phones app from the Google Play Store for Androids or the App Store for iPhones. The app is free to download and install, but you will need an actual Dynamics 365 for Finance and Operations instance and license to actually log into it. You will be prompted to enter your password after entering or selecting the user account. Select Mobile app from the list. Highlight the mobile workspace you want to publish and click Publish. 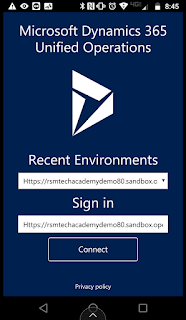 The following screen shot shows the mobile workspaces. 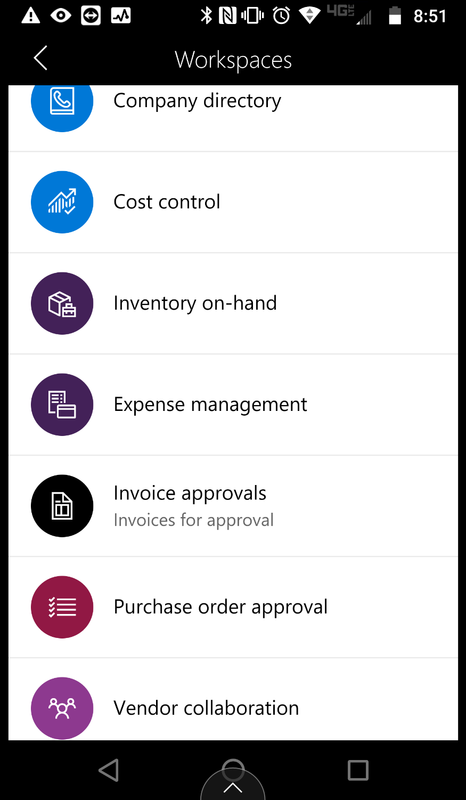 You may need to scroll down to see the Expense management workspace depending on how many workspaces you have. Once you launch the workspace you can quickly and easily get started. 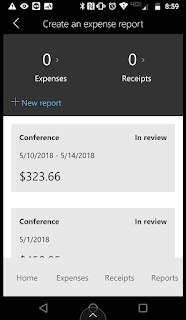 If you don't have an expense report started already you will want to create one, and add the expenses to it. But you also have the option to just do a quick capture and add the receipt to the expense report later. 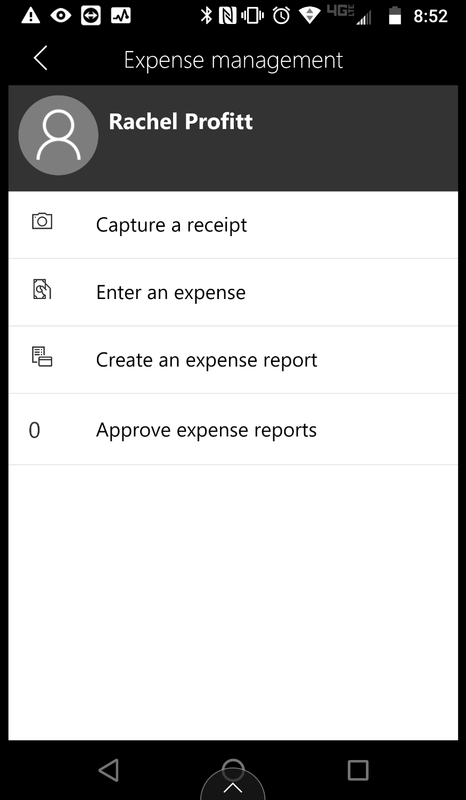 To create an expense report, click Create an expense report. This will open a new page. 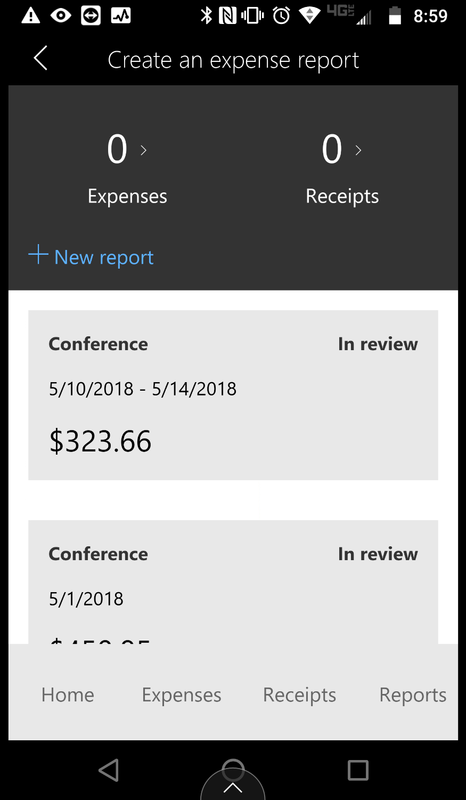 If you already have an expense report you will see the lines that you have added to the report on the page. The numbers at the top represent any expenses you created that are not attached to a report, or receipts you captured that are not attached. If you want to start a new report you can click New report. 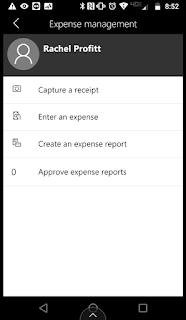 Click Create an expense report from the home page of the mobile app. Enter a Purpose, for example Client Visit. Enter a Location, for example Kentucky. 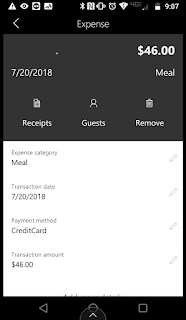 Click the Expense category drop-down box. Select an option or search. For example select Meal. 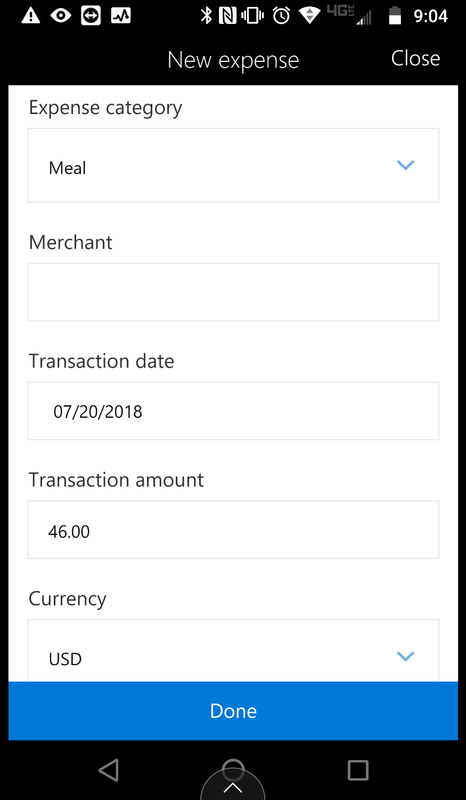 Enter the Transaction amount, and any other required information such as the date and merchant. Click Done when you are finished entering the details. 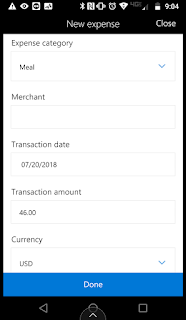 Click Receipts to add a receipt. 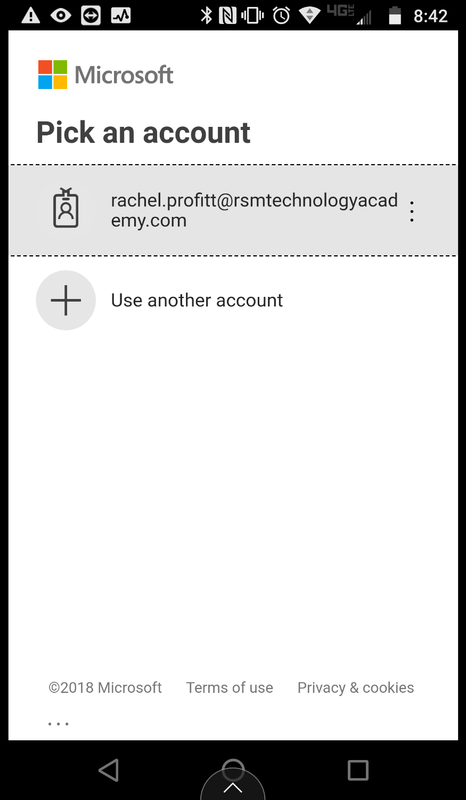 Select to Capture a receipt or attach an existing receipt. Click Done to attach the receipt. 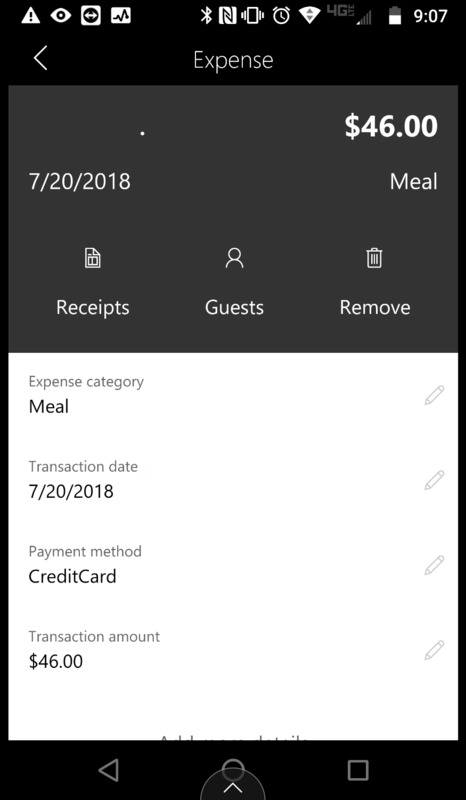 If required you can use additional buttons to add guests, do a breakdown of the receipt or remove the expense. 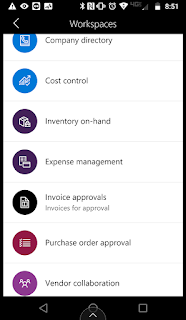 The options and fields that are visible and required are controlled by the configuration in the Dynamics 365 for Finance and Operations web interface for Expense management. Hopefully with this information you can see how easy it is to use the new mobile app. 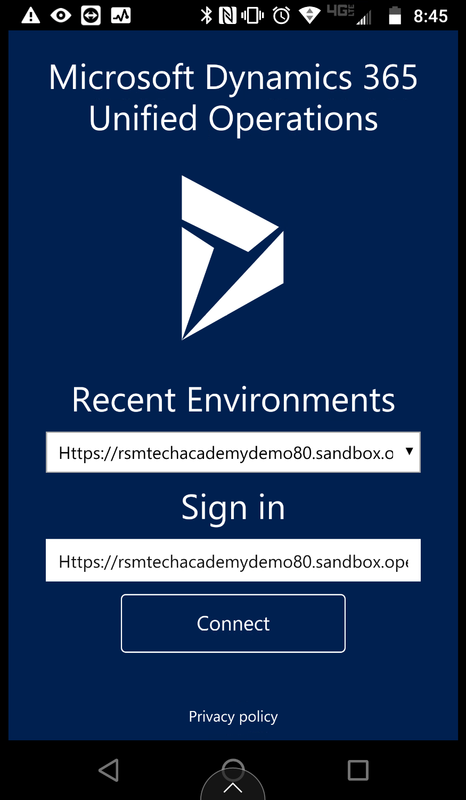 This is a great feature to enhance your already existing implementation or another great addition to your ROI and reason to start your upgrade today.